Covered bridges are a distinctly American building form. Hundreds of these structures formerly adorned rural byways across the country. Most have disappeared, but those that remain excite an intensity of sentiment given few other types of structures. Covered bridges are a rarity in Virginia; Patrick County has two of the handful remaining. Later than most, the bridge was constructed in 1920-21 under the direction of Walter Weaver, whose family assisted in the endeavor. The bridge is an eighty-foot span of heavy oak timber framing. The exterior is covered in board and batten, while the interior has diagonal sheathing. Now in county ownership, the bridge no longer serves vehicular traffic and is kept as an object of interest beside a modern crossing. 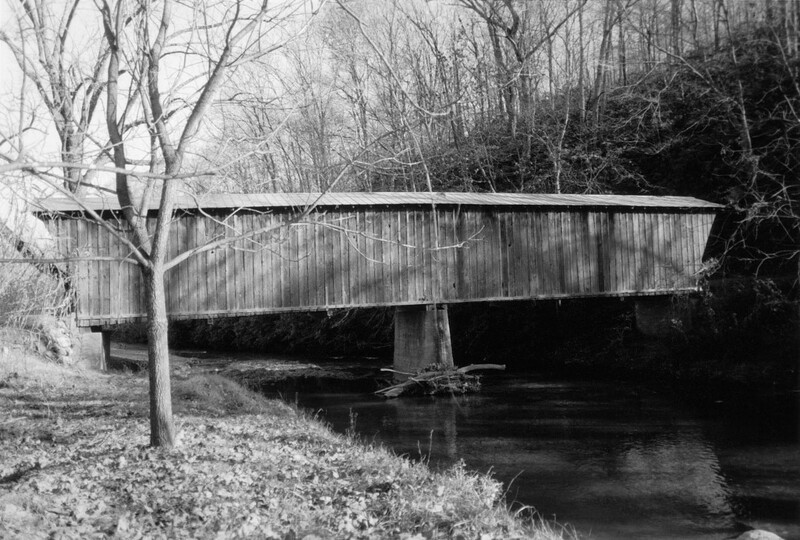 At the time of listing in the registers, the 1920-1921 bridge was one of just eleven covered bridges then extant in Virginia. In September 2015, the bridge was destroyed by a flash flood, although poured concrete abutments remained in place.